I try to came early to dojo. Arrived at 8.30 am, people start to came to JJS. Moment later, as expected, the place become crowded with all the grading participants. But soon i realized that there were so many unfamiliar face, i rarely saw them on sunday training, who were they? A bit asking here, a bit asking there, and oh, found that the participant of the grading weren't only from Jakarta, but also from Bandung, Jogjakarta, and Surabaya. No wonder the dojo get so full of people. Shortly, the grading started. Each participant got their own vest with number, functioned as participant ID, so its easier for sensei to do the grading. 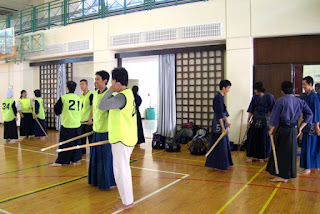 Next, we make three line, so on each session, there'll be 3 person scored by sensei. Grading material for beginner and non bogu member is to do men-uchi, kote-uchi, do-uchi, and kote-men-uchi, 4 times each. 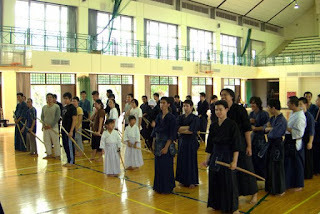 As for senior, if im not mistaken, same with the beginner, plus kirikaeshi and keiko. 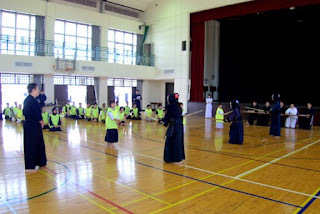 Before the grading start, sensei told us, that two important thing to do in grading is big swing and kiai, thats the basic. For me, kiai is very usefull, when i feel nervousness start to get into me, i'll do my kiai as loud as i can, then start to strike my uchidachi. So kiai is a good way to get rid of your nervous feeling. The grading started with beginner non bogu first, continued with beginner bogu, then senior bogu. 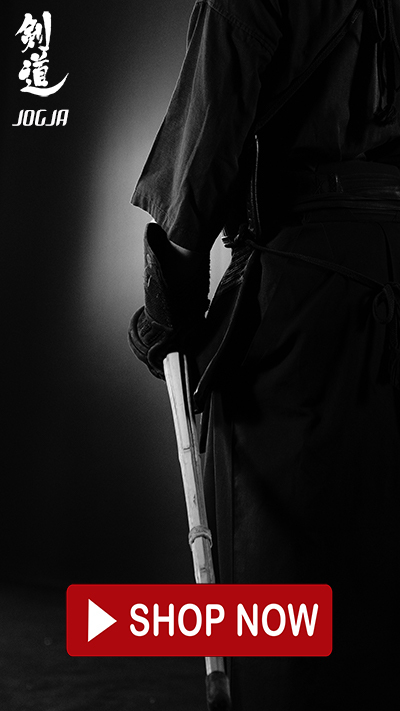 For dan grade, there also kendo kata exam. After all grading process finished, all participant gather and listening to the grading result. Sensei call for the participant name and the new grade he/she obtained, along with applause from other grading participants. 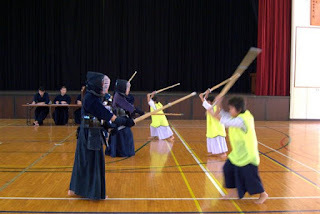 As for me, from next training, i'll start to use bogu. I feel very excited with that, but it also means that there's so many thing i'll have to learn, so i have to ready for that. Another chapter in the long journey ahead.